Every single waking moment of our life is documented on social media – from the moment we wake up to the time we fall asleep, from the biggest milestones of our lives, right down to our most eccentric shower musings. In fact, it is so integrated into our lives that hardly a day (or hour) ever goes by without us checking our feed or notifications. While its effectiveness for the purposes of entertainment may be justified, social media can be (and is being) used beyond the random memes and status updates. There are many ways that social media can actually aid your career as a student, from honing your professional skills to even helping you figure out the right career for yourself. Come, let me introduce you to the unexplored side of social media. You’d be surprised to learn that socialising and building relationships go a long way when it comes to your career. Professional networks and relationships help you get noticed, meet like-minded individuals, and land the right opportunities. Be it a valuable internship or a coveted job opportunity, professional networks get you out of the limited boundaries of your school/college, and right into the middle of the hive of all professional activity. A strong network also helps you garner valuable connections whenever required. Say, you are organizing a school event or your college department fest, and want a talented designer to help you design the event poster. Where do you look to? Your network! LinkedIn, the biggest professional network, should be your first stop when seeking to build your network. 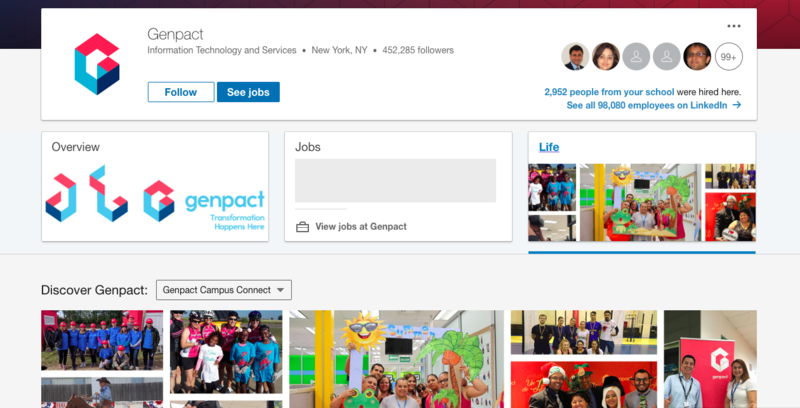 Students can benefit from LinkedIn as much as working professionals. And the earlier you start, the better and stronger your network would be. 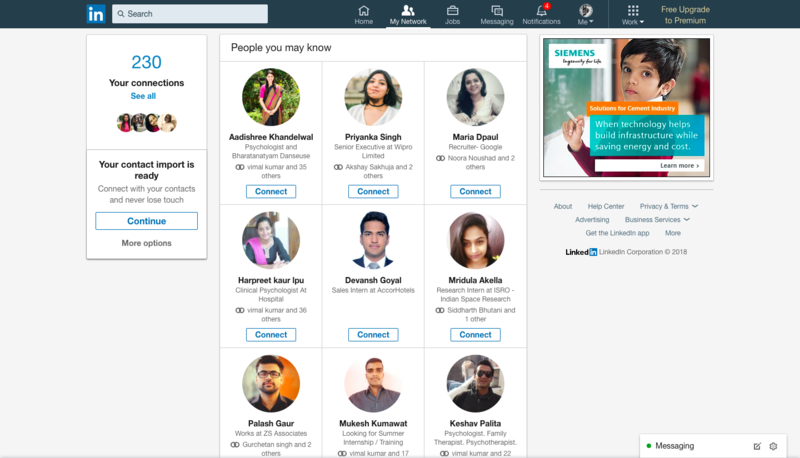 • LinkedIn offers you the platform to connect and engage with peers, professionals, and industry-specific networks, and thus helps you discover internships, summer school opportunities, and mentoring/support channels. On Facebook, you can build up a network by being a part of groups. 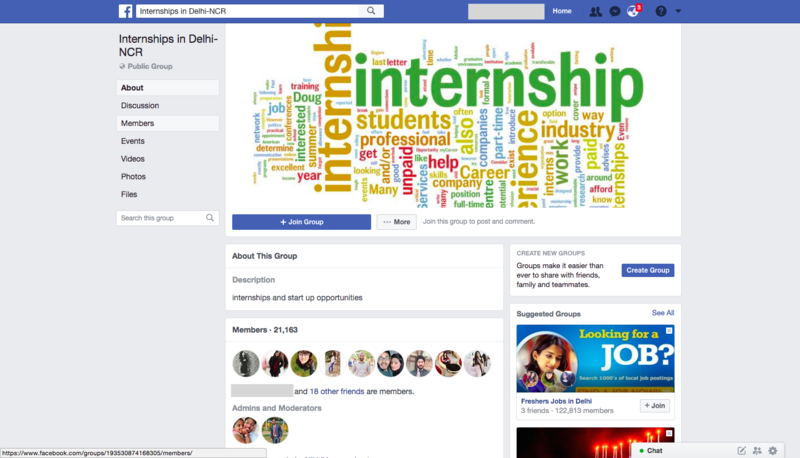 • Facebook has groups where people from similar interests, backgrounds and fields come together to engage in conversations, share opportunities, industry updates and news about their fields. You can find these groups by going to the ‘Groups’ section and clicking ‘discover’. Twitter lists are another great way to discover and follow relevant Twitter accounts. • With Twitter Lists, you can stay up to speed with the trends, developments and interesting ideas in your field. For example, if you want to get updates from people who post content pertinent to the field of Marketing, you can simply create a list called “Marketing Accounts to Follow.” This way, you can follow conversations from leaders in your field, and even tweet back when you have something to contribute. No matter where you go and what field you get into, your skills speak before you do. Whether you are in school or college, your skills matter; at times, even more than your college brand name, Thus, taking the effort to build them from an early stage will help you in the long run. Skills can range from soft-skills such as communication skills, leadership skills, creativity; to more technical, industry-specific skills, such as Photoshop (for aspiring graphic designers or photographers), Java (for aspiring computer programmers), and even Microsoft Office (for virtually everyone). Social media are a treasure trove for all things educational. While in the past we could only rely on a learned-few within our closed network (teachers, siblings, parents), the concept of connectivity has opened the doors for us to benefit from the expertise of virtually millions of others. YouTube is the trailblazer when it comes to video content. 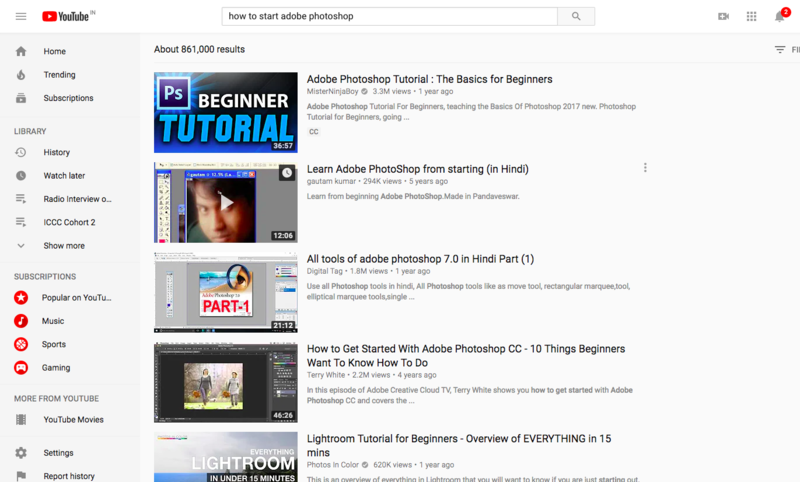 • YouTube holds an entire world of highly-detailed, easy-to-understand ‘how to’ and instructional videos, on practically anything you can think of. • An effective method to find relevant and quality content is to subscribe to channels in your domain. Many channels also reply to user questions in the comments, so you can resolve any specific questions you may have regarding the skill you are trying to learn. Don’t know which skills you need to stay at the top of your game in your field? LinkedIn can help. • Look for specific skills in the profiles of professionals in your particular field. 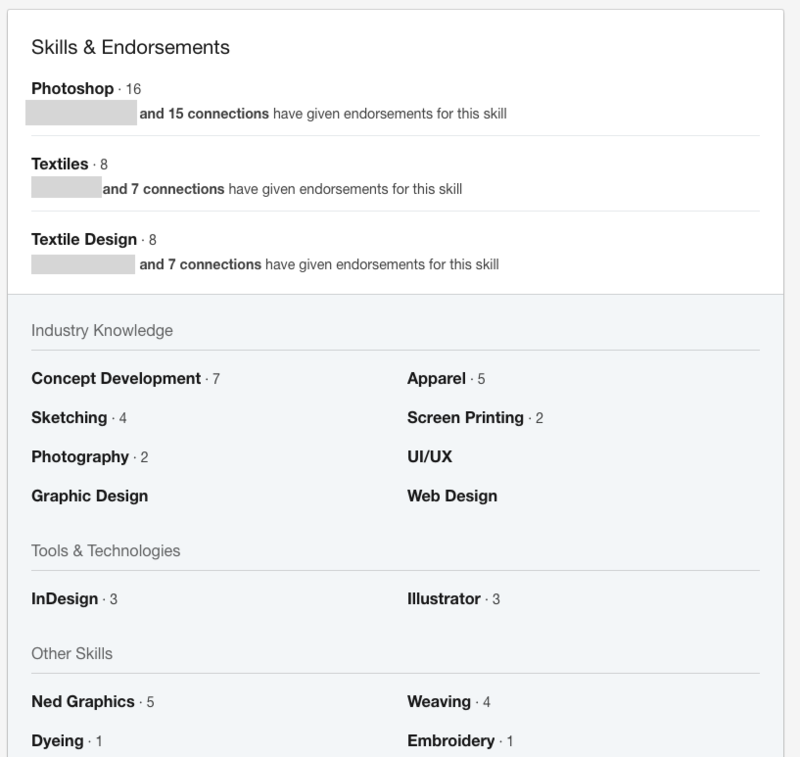 These skills are highlighted in an individual’s profile as a separate section and would help you understand which areas you need to work upon. Expert Tip: In addition to social media websites, there are some other great e-learning platforms too, where you can find instructional videos on a wide range of skills and fields. Some of the good ones include Edx, Coursera, Udemy, Lynda, Khan Academy, etc. 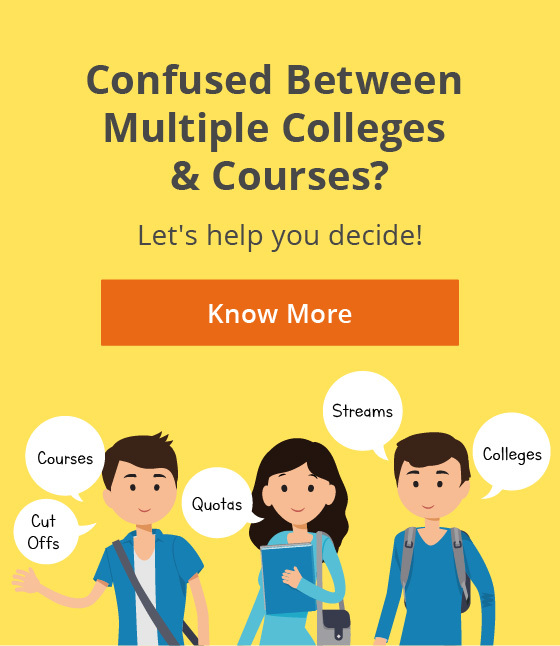 Many of these courses are free, while others are paid. A great career starts with making the right choice. Most people don’t have their career sorted from the get-go, and thus require some guidance and support to find their right career path. Making an informed career choice is all about learning about different career options in depth, to understand what works best for you. Believe it or not, social media can assist you in this too. 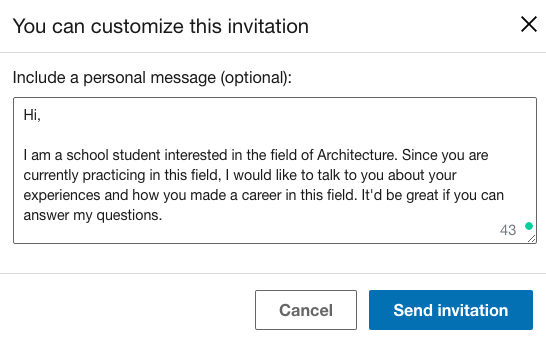 LinkedIn is a gold mine for exhaustive information on careers, if one knows how to look. 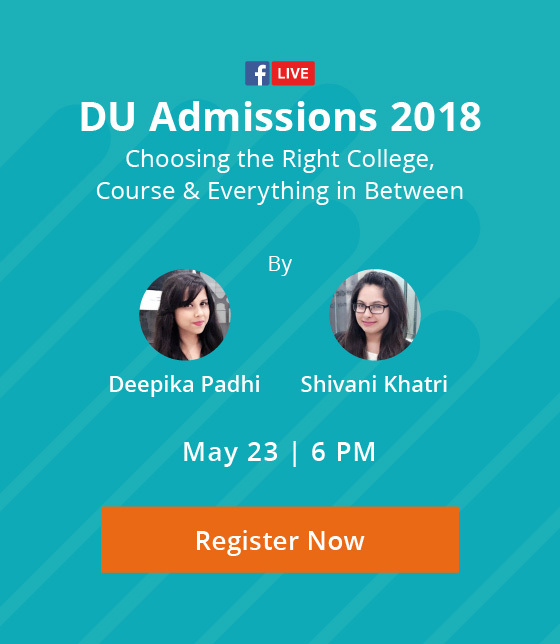 • Say, you are unsure about what is the educational path you’ll have to follow if you want to get into a particular career or job role. Start by searching for the career and browsing through individual profiles. You’ll be able to notice trends about the different degrees people typically pursue in your field of choice. • You can also use it to research on the kind of career/jobs people with a particular degree go on to have. Simply search for the name of the degree, for e.g. 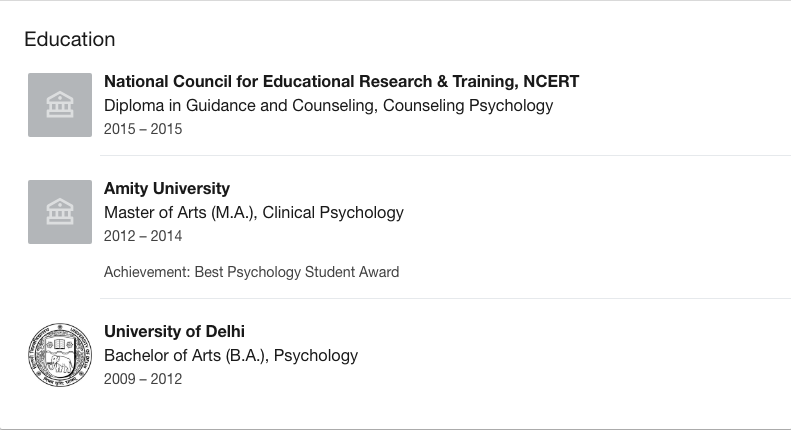 B.A Psychology, and look through the profiles of people that appear in the results. 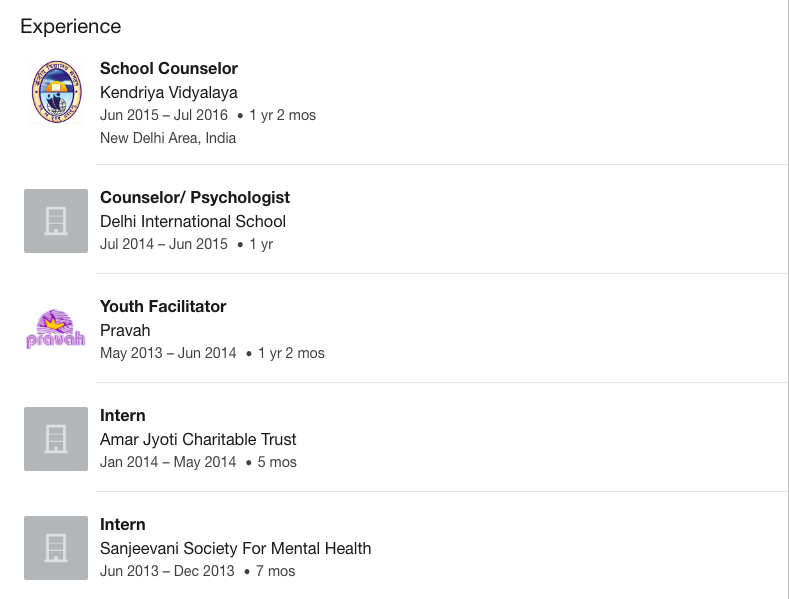 You’ll be able to see the typical kind of job profiles people go on to have after graduating. 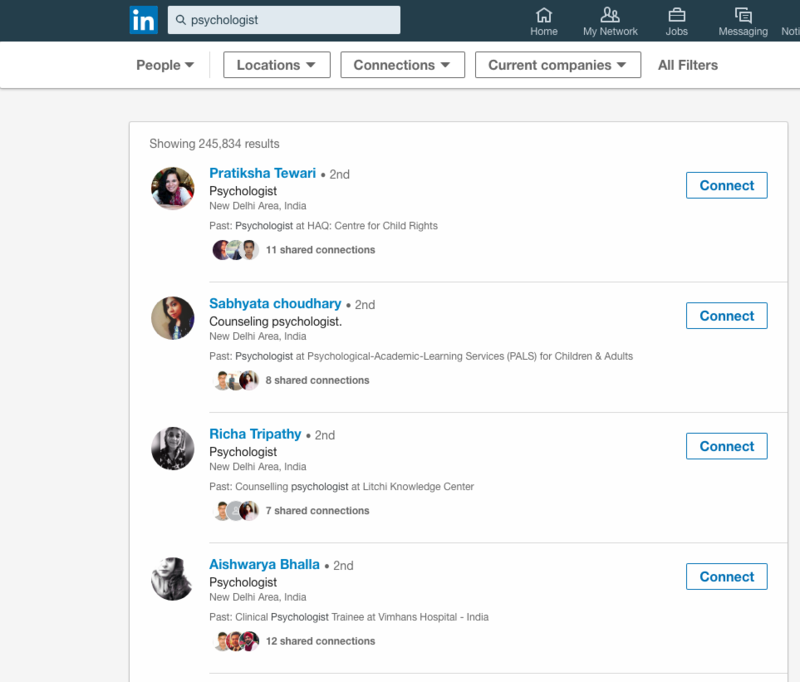 • To find out what type of companies hire people in your chosen field, use LinkedIn Jobs to search for the type of role you are looking for and find active job postings. While doing this, you may also explore the work life, culture and more through their LinkedIn company pages. 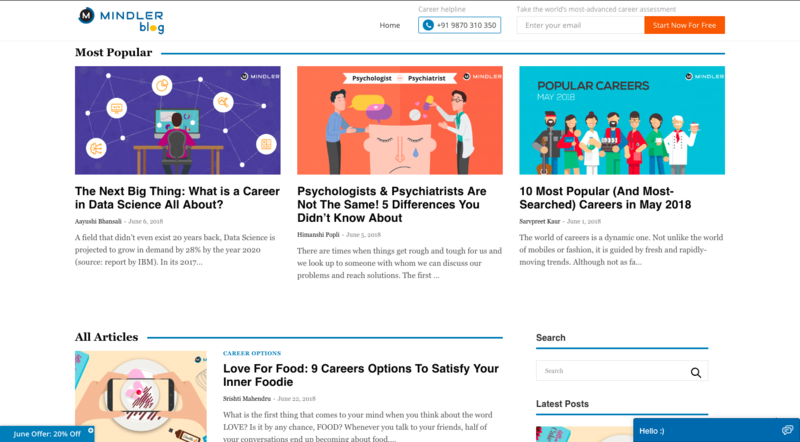 • You can also connect with professionals working in a career you wish to explore, and seek out their opinions, experiences and knowledge about the specific domain. Just send them a connection request, along with a brief message about why you wish to connect. An important part of making the best of your talents or skills is being able to display it in the right manner and to the right people. Doing so can put you at the forefront for all the right opportunities, and thus advance your career. Social media is the perfect front to demonstrate your personal attributes – your abilities, knowledge and personality. 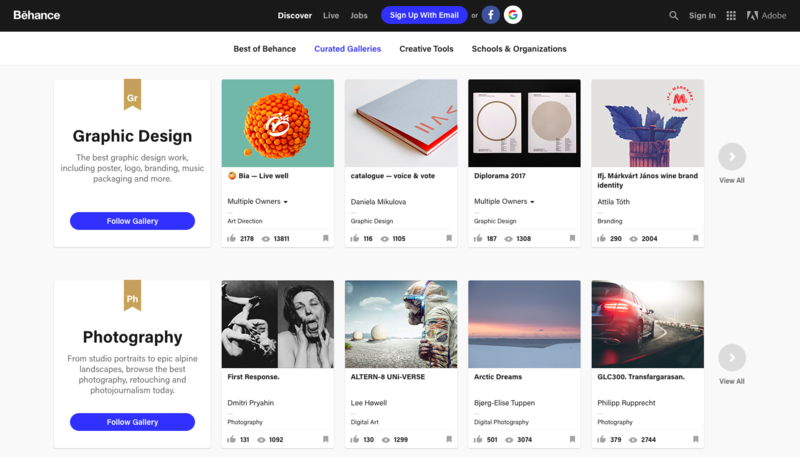 There is a social network for every kind of skill/talent you may wish to display to the world. 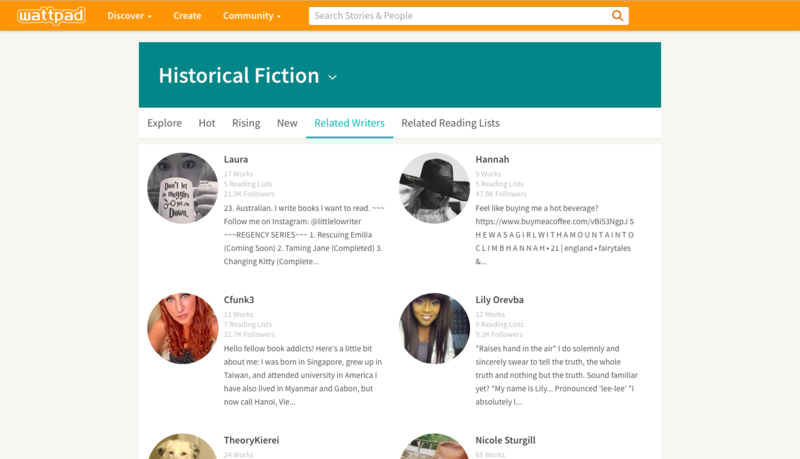 • If you have a flair for writing, there are platforms like Medium, Wattpad, Tumblr and WordPress, where you can post your blogs, stories, articles and other content. These are a great way to get readers for your content from all across the world. • Pinterest (art, designs, photography), Instagram (photography, fashion, blogging), YouTube (vlogging, comedy, music, dance, etc. ), Snapchat (comedy, entertainment), Flickr (photography, designs), SoundCloud (music), Behance (art, design), etc. are some other platforms that provide a centre-stage to all types of talents. • Social media platforms are a great way to display your expertise, in case you have any. 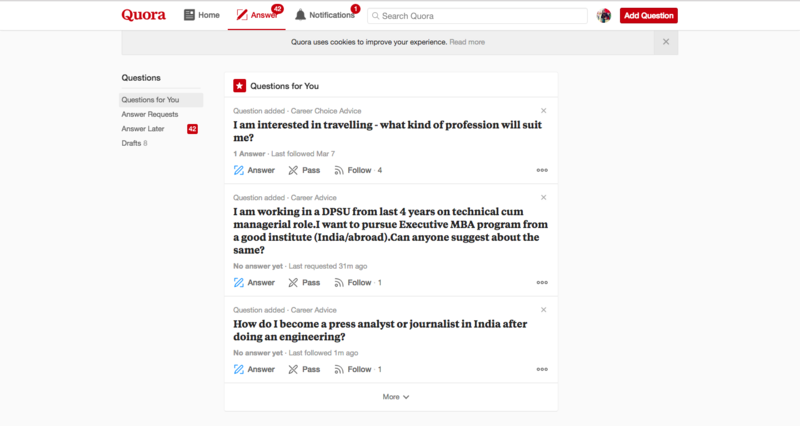 Quora is one medium where you can share your knowledge and experiences around a particular topic by answering questions, and ultimately boost your profile in the process. What is the original and ultimate purpose of all social media channels? To stay updated. Be it the current happenings in the world, or the current happenings in your field, it keeps you on top of things. As a part of being a well-rounded and knowledgeable person, it is very crucial to keep yourself informed of the world around you. One of the simplest ways to keep up with the changing times is to read articles and watch videos related to your field, current affairs and careers in general. • When it comes to the latest news or global and national affairs, social media can prove extremely helpful in keeping you up-to-date. Follow/subscribe different media websites and news channels so that you can obtain news articles in your social media feed itself, without having to install an app or open a newspaper. 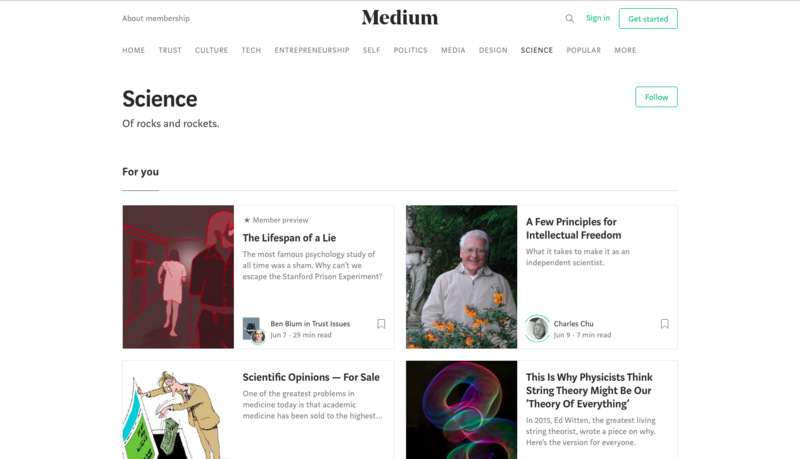 • You can also keep up with information related to your field (for eg., technological advancements for a student interested in computer science) through Medium, a blog publishing platform. It has a wide range of blog categories, which makes it much easier to find the kind of content you are looking for. In addition to following blogs, you can also follow individual people, including industry influencers (on Twitter and LinkedIn) to get hold of valuable content, coupled with the expert’s insights/advice. Social media holds enormous potential to give a kick-start to your career and get it on track. With so much information and possibilities to explore, one has to wonder why more students do not utilize it? Recommended Read: How Should I Convince My Parents to Let Me Pursue My Dream Career? Let’s get more social! Share your thoughts about this post to get the conversation started.